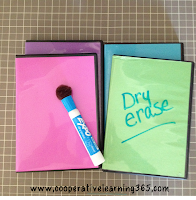 An easy, very inexpensive, and planet friendly way to convert those old DVD cases into a functional mini dry erase board! 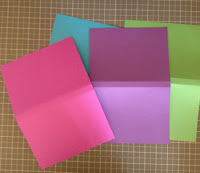 Colored cardstock or construction paper. Step 1: Locate old DVD cases and take out the original sleeve. 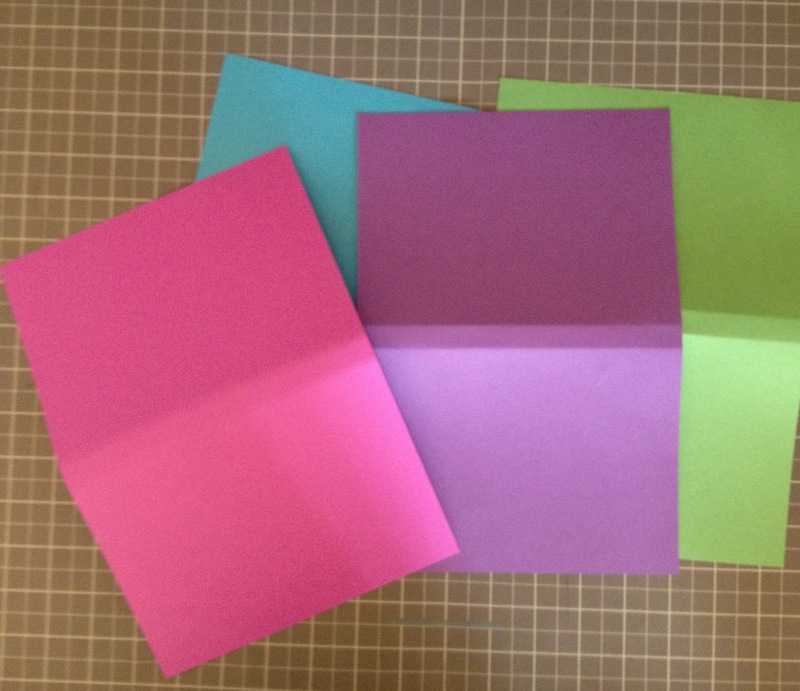 Step 2: Cut the paper of your choice to the following dimensions: 7-1/4" X 10-3/4". Step 3: Open the case and slide the paper in. 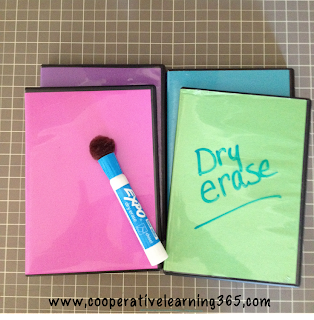 Step 4: Be in awe of this easy to make mini dry erase board. 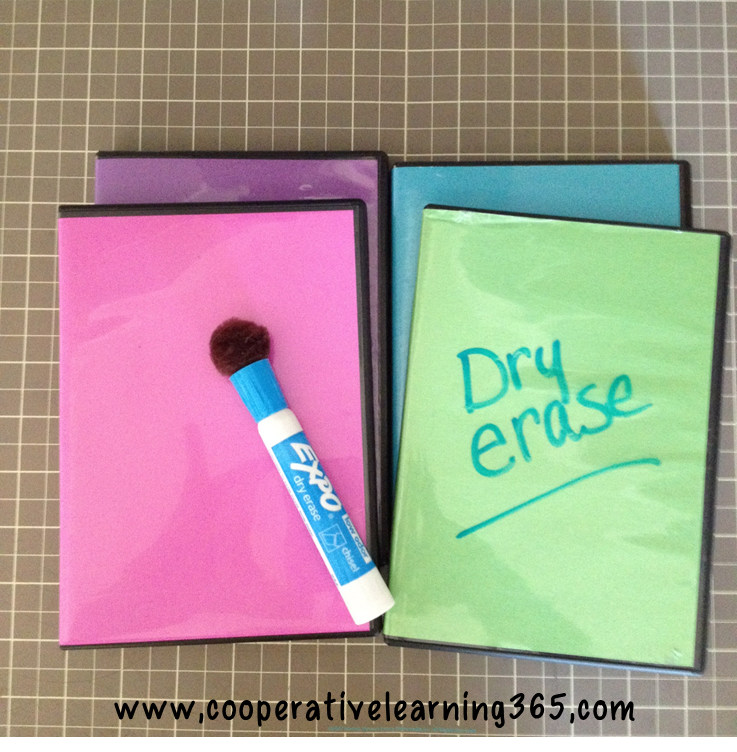 Hot glue a pom-pom onto a dry erase marker for students to use as an eraser. Original idea pinned from here. Have fun expressing your creativity!